The clock is officially ticking as the countdown to Dippy the Diplodocus’ journey from Dorset to Birmingham, as part of Dippy on Tour: A Natural History Adventure, has begun. The handover moment from Dorset to Birmingham was marked at Dorset County Museum with attendance from John Murden, Director of Dorset County Museum and Gurminder Kenth, Museum Manager at Birmingham Museum & Art Gallery. Local schoolchildren from St Nicholas Church of England Primary School, Henstridge in Somerset joined in the celebrations to bid Dippy farewell, as the excitement builds ahead of his move to the Midlands. 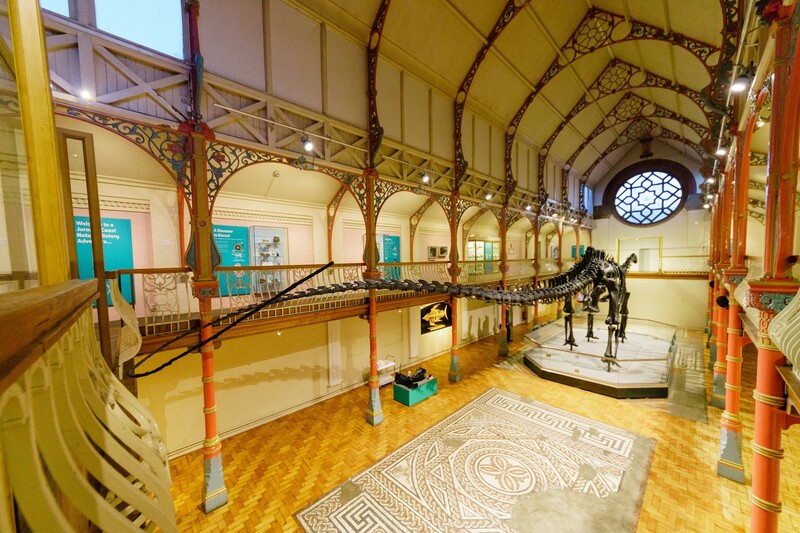 Dippy has been at Dorset County Museum since 10th February with more than 153,189 people visiting the display in just under three months. The Natural History Museum’s iconic Diplodocus cast, never before seen outside of London, is travelling the length and the breadth of the UK, visiting Scotland, Wales, Northern Ireland, and five regions across England over two years. Dippy has delighted visitors since he arrived in London in 1905. The British icon is on a mission to inspire five million natural history adventures, encouraging families and schools to explore nature on their doorstep. 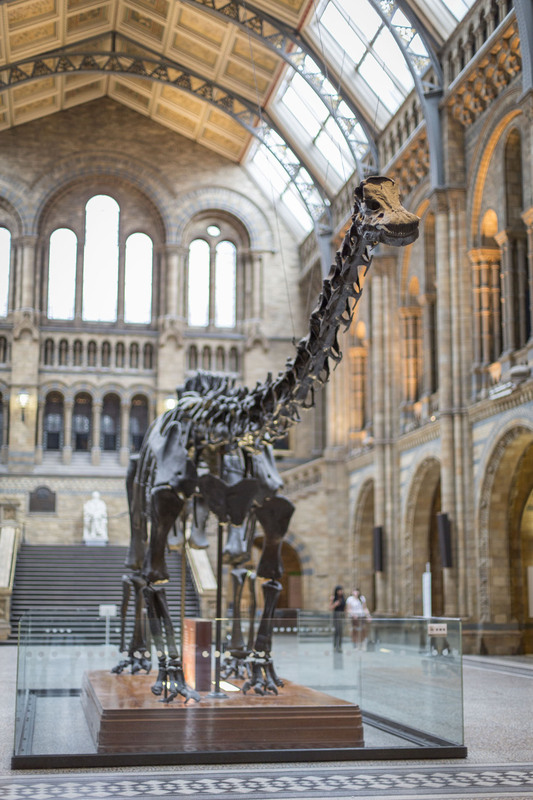 Each tour partner venue is using Dippy’s visit to showcase their local nature and natural history collections, forging new partnerships between regional cultural, scientific and wildlife organisations in a bid to reconnect the nation with nature. 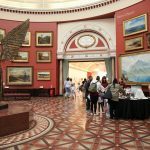 In Birmingham Dippy will be accompanied by an exciting and engaging exhibition which will bring the city’s extensive bird collection back to the museum for the first time in 20 years, showcasing the evolution of dinosaurs to the birds we know today. Other star exhibits include a velociraptor cast, a cast of a dinosaur nest and a real Great auk, the famous bird which became extinct in the mid-19th century. Dippy’s stint in Birmingham doesn’t stop at the exhibition itself. Throughout the museum, there are plenty of dino-fuelled activities to join in with. Fun for all ages, try out your hand (or spade) at palaeontology with an exciting Dino Dig, or step back 156 million years to the late Jurassic period and explore Dippy’s past with the curator’s tours. 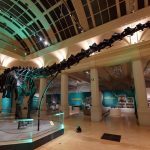 Opening at Birmingham Museum & Art Gallery on Saturday 26th May, the highly-anticipated exhibition will be the only chance to see the impressive diplodocus cast in the Midlands.